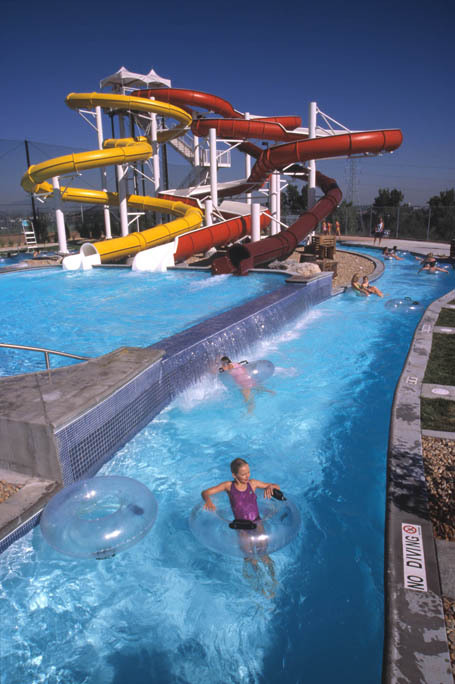 Counsilman-Hunsaker, in association with Lyman Davidson Dooley, designed the cutting-edge Pirate’s Cove Aquatic Center in Englewood, Colorado. The outdoor waterpark was designed for a variety of age groups and provides attractions that everyone can enjoy. In 2016, the City of Englewood contracted Counsilman-Hunsaker to develop an aquatics feasibility study for a potential expansion of the waterpark. Three expansion concepts were developed for consideration. Each concept featured a signature attraction, FlowRider addition, climbing wall (in the existing competition pool), new children’s interactive play structure, replacement of the spraypad features, addition of a group pavilion, addition of cabanas, enclosure for slide pumps, and heating for the mechanical room.